Has some paint fading on front passenger fender and grilles. 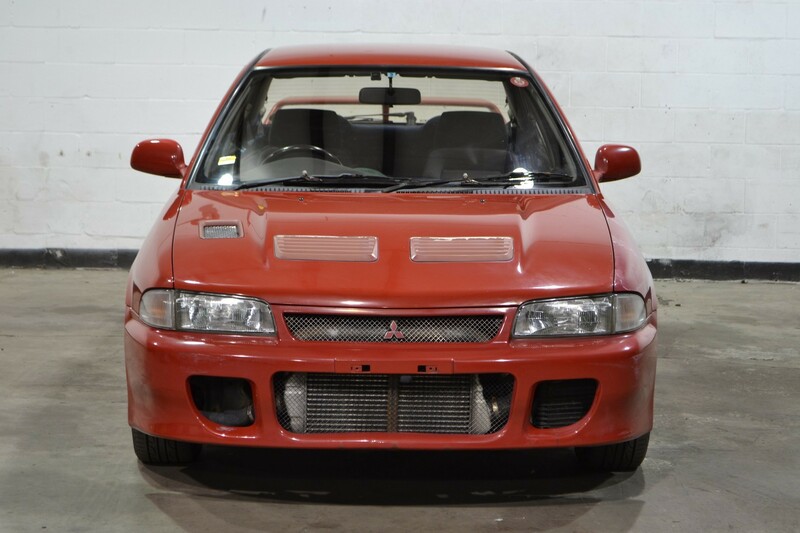 Want a 4G63t Evo but tired of finding ragged out, beaten ones? This Mitsubishi Evo is a rare find. 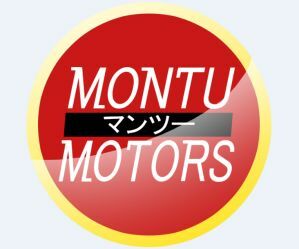 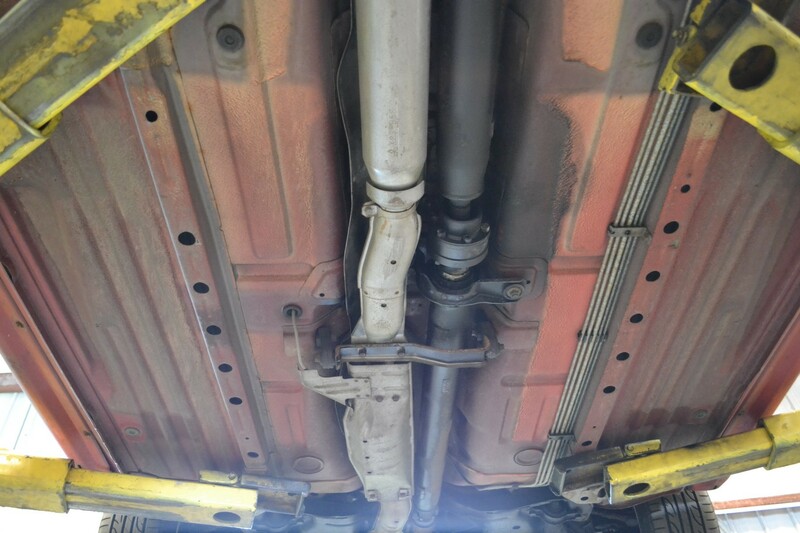 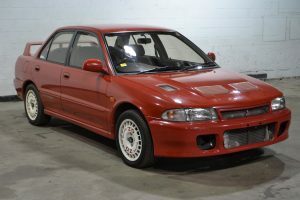 An unmodified, one owner example! 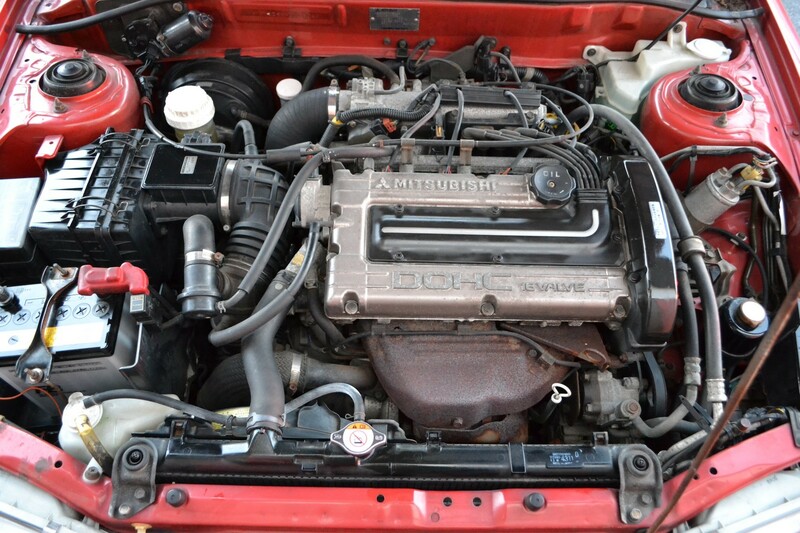 Drives like a champ, and motor pulls well. OZ rally inspired wheels give this car the true WRC look. Recaro seats are extremely comfortable for anyone looking for a comfy cruise, but wants to carve up back-roads with style and ease. 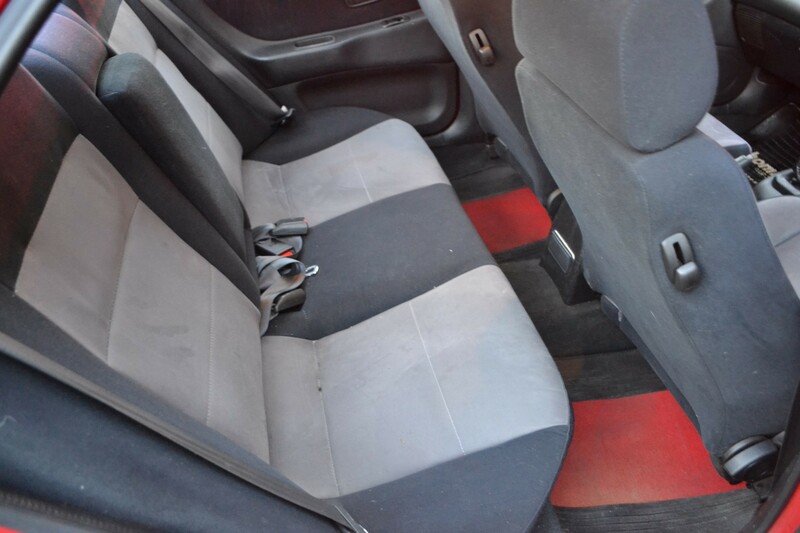 Paint has seen better days, but polishes up well. 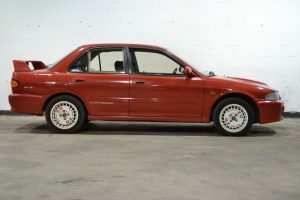 Mitsubishi released the original Lancer Evolution in 1992, and became so popular it spawned a total of ten generations. The Evo 1 came equipped with Mitsubishi’s world-class 4G63t 2.0 liter turbocharged 4-cylinder, and all-wheel-drive. 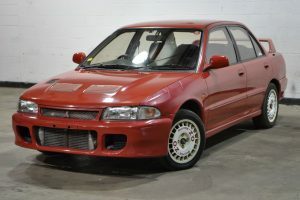 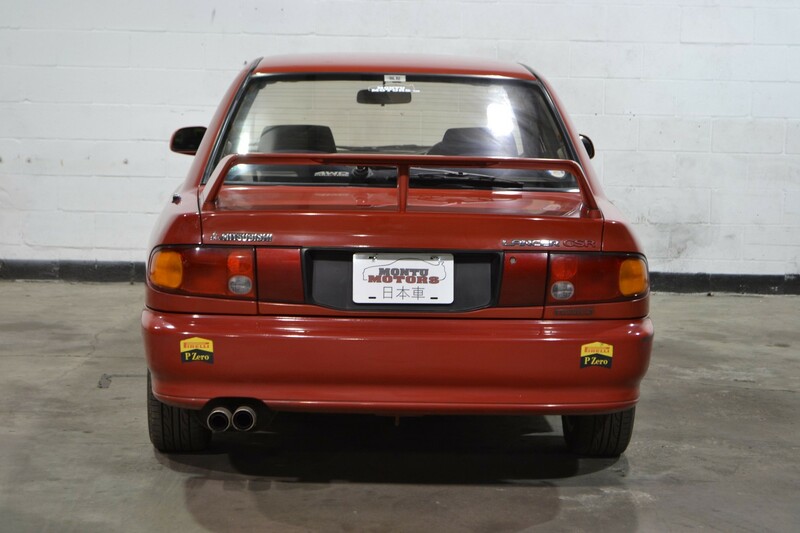 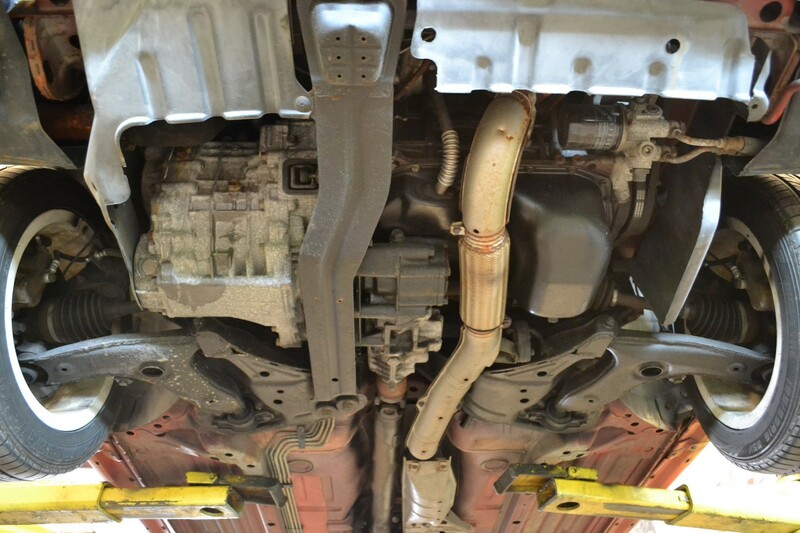 This was basically the same powertrain found in the Galant VR-4, but in a much more aggressive body style. 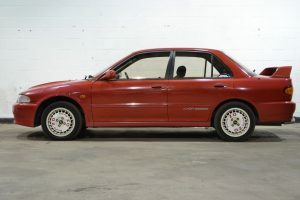 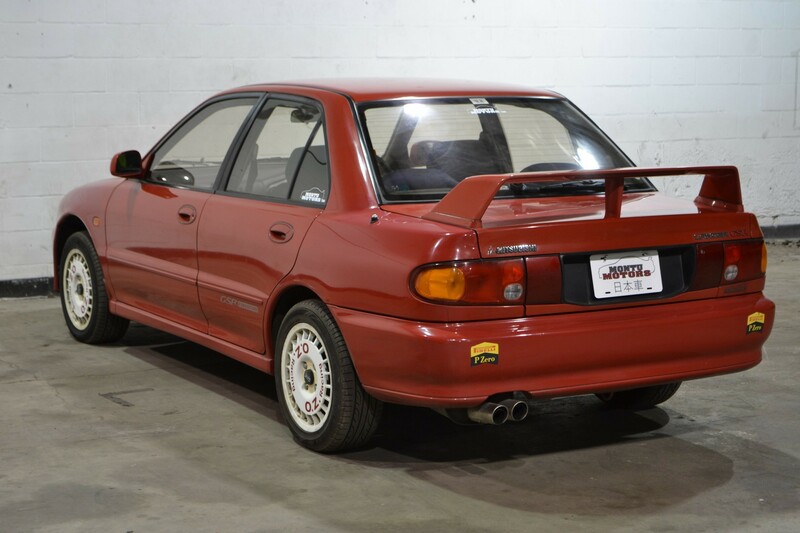 The Evo 1 originally produced 244 hp, which was considerably more than the Galant, and had a top speed of 142 mph. 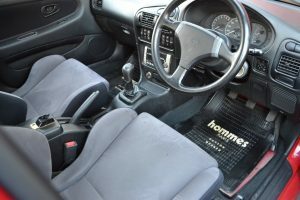 The Evo 1 was offered only with a 5-speed manual, adding to its sporting credentials. 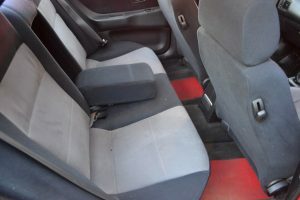 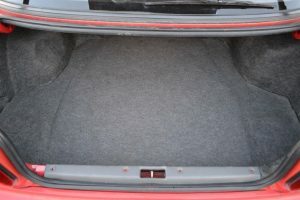 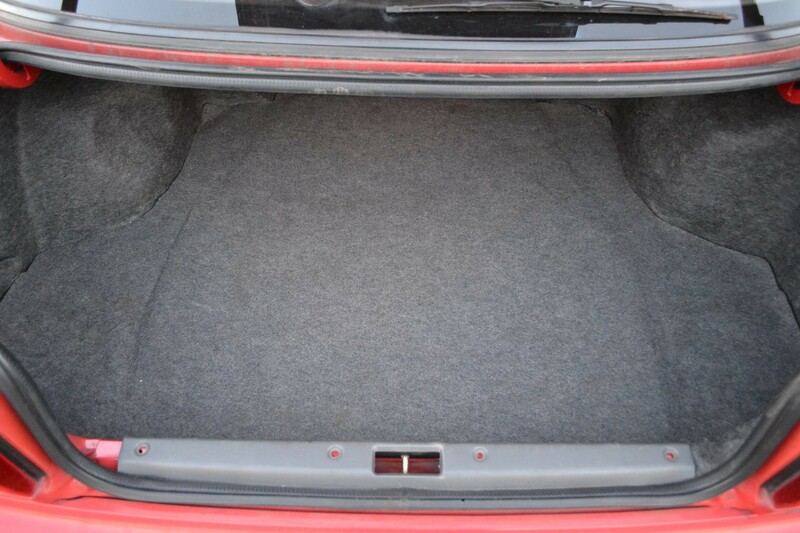 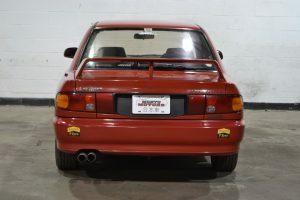 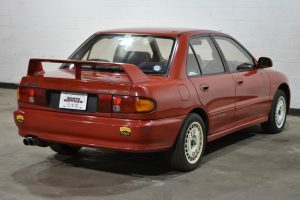 There were two trim levels, the GSR, which contained all the modern features of a new (for that time) car, and the RS, which was the stripped down version. 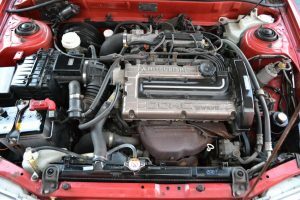 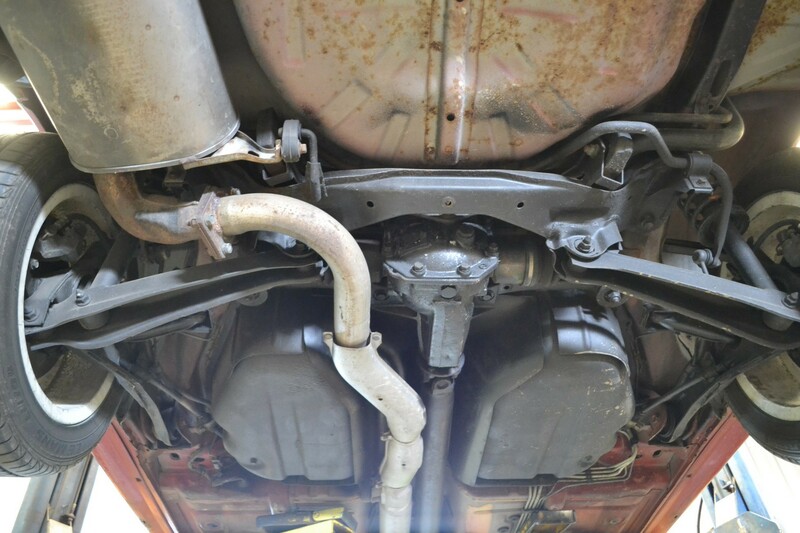 The GSR also featured a viscous LSD, whereas the RS has a mechanical plate type, which became standard in later generations.